Yay! Our first batch of chickens arrived on Wednesday. It is a wonder to me that you can order living things and the post office will deliver them to you. And, that these little creatures that were just born/hatched are able to survive the trip without food or water or warmth. 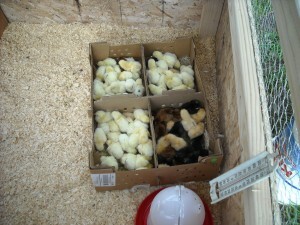 Then, when you take them out of the box, they just instinctively know how to peck the feed and drink from the waterer. Incredible! So, they will be in their cozy little brooder for three weeks, and then out to the pasture they will go. Where they can scratch and peck all the bugs and grubs and worms and ticks and fly larva and anything else they can find to their hearts content while soaking up lots of sunshine and breathing the fresh air. 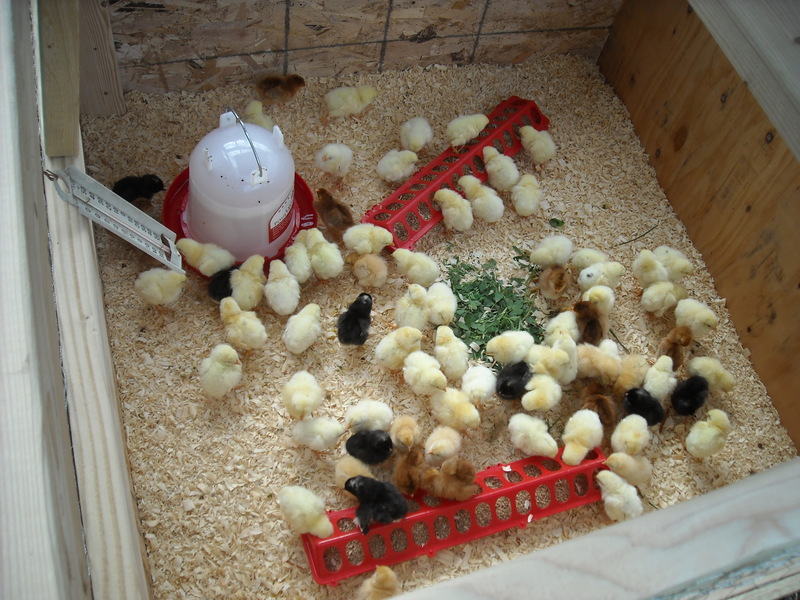 We ordered 50 Jumbo Cornish Cross meat chickens and 25 mixed breed laying chickens. They sent along a few extra. Good thing, as about that many haven’t made it. Heartbreaking when you find them. 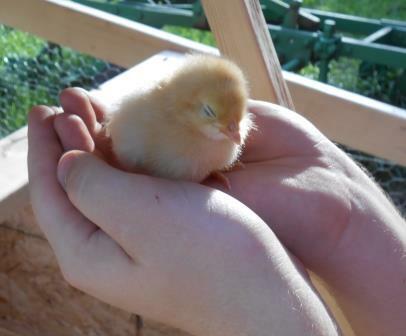 The layers have proven hardier than the meat chicks, and they are vastly cuter. It really is amazing how quickly they grow. So much so that they seem to get bigger right before your eyes! Check out our little brood. Sorry it’s a little shaky. But hey, I’m new to this, cut me some slack! 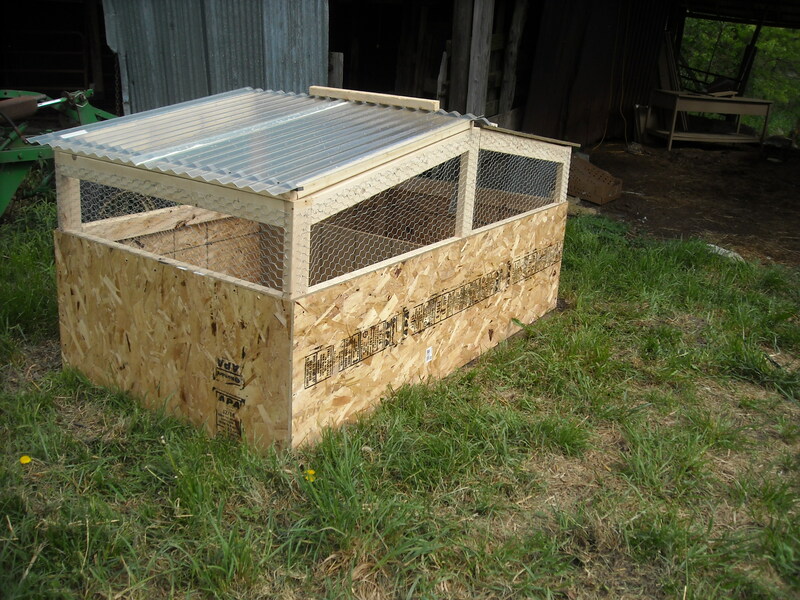 This entry was posted in Uncategorized on May 20, 2013 by Angel Garden Farm.